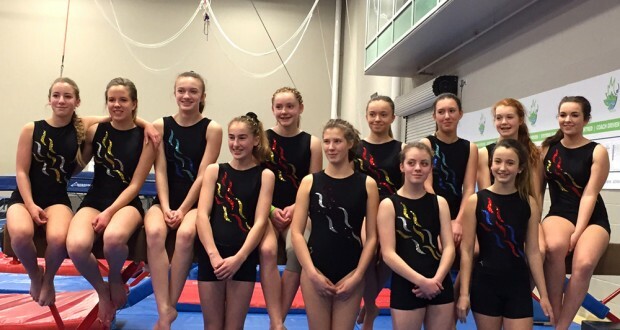 The Kamloops Gymnastics and Trampoline Centre sent athletes to the B.C. 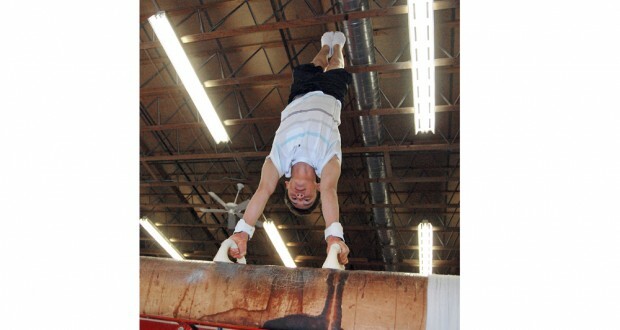 Gymnastics Championships in Langley earlier this month. 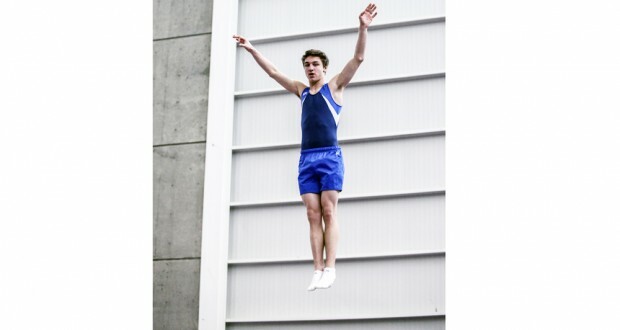 In individual trampoline results, Gavin Dodd was first in 17-and-under Level 6 men’s trampoline, Level 6 men’s double-mini trampoline and Level 5 men’s tumbling. He was also the overall National Level all-around champion. Emily Schmidt was first in 18-and-over Level 6 women’s trampoline, junior women’s double-mini and Level 6 women’s tumbling, capturing second overall in National Level all-around standings. Kristina Dodd was second in Level 5 women’s trampoline, second in Level 5 women’s double-mini and first in Level 5 women’s tumbling, placing third overall in the National Level All-Around competition. Jaxson Coull was third in 17-and-under men’s Level 6 trampoline and third in Level 6 double-mini. Hannah Walker was second in 15-and-over Level 4 women’s trampoline and Kristyne Makortoff-Jones placed third in 15-and-over Level 4 women’s trampoline. In men’s artistic, Drew Kanigan was the Elite 4 all-around champion, while Yoshi Matthews placed 12th in the Level 3 (eight- to- 13-year-old) category. Alexis Cloet won bronze all-around in Junior Olympic (JO) Level 6 competition, helping the Zone 2 team place fourth all-around. Other top-10 finishes from local women’s artistic athletes in their divisions include Brooke Topolovec placing seventh all-around, Rebecca Wharton finishing seventh all-around and Jemma Fitzmaurice placing ninth all-around. In synchro trampoline, Gavin Dodd and Coull placed first in Level 5 men’s action. Makortoff-Jones and Brooklyn Luison were sixth in Level 3 women’s. Genna Bruno and Grace Dickenson were second in Level 2 women’s. In team trampoline, Gavin Dodd, Kristina Dodd, Luison and Aurora Lewis were first in double-mini, while Schmidt, Kristina Dodd, Emma Guertin and Hannah Walker grabbed first in tumbling.